In Macau’s constantly changing landscape, one small vintage store has managed to endure – serving as retro feast to collectors and lovers of antique style. On a quiet and relatively overlooked back street of Macau’s Tap Seac stands a small vintage store. From a distance, one can see its luminous pink and yellow façade exuding a 1960s hippie vibe. 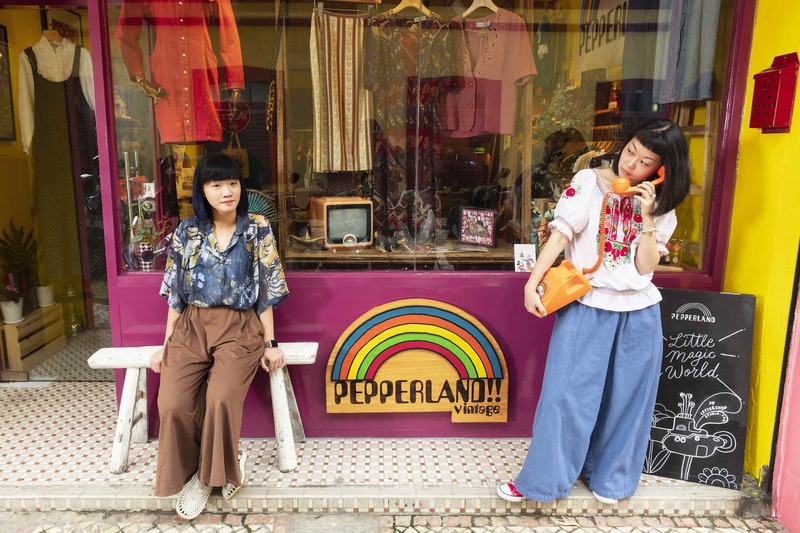 Though both still in their 20s, owners Amy Pang and Sandy Wong created PepperLand Vintage Store to appease the growing number of vintage lovers in this eclectic city. “We knew we wanted to start this kind of business because it’s the kind of style we both love,” Amy explains. In 2012, the young entrepreneurs began small by selling vintage products at Macau’s annual flea market and launched their burgeoning company’s Facebook page. Then, in 2016, “we finally opened our actual store,” Sandy laughs. 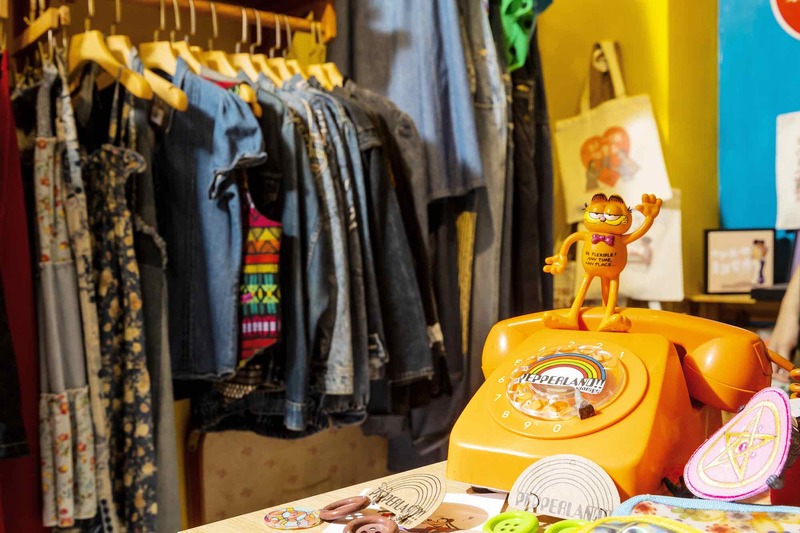 PepperLand Vintage Store takes its visitors on a trip down memory lane, literally and figuratively, with the wide range of antique displays and retro style clothes perfectly placed on the bright yellow walls. “We chose this place because it gives a natural vintage vibe without trying too hard. We kept the original floor tiles and windows to match the feel of our shop,” Amy explains. In the store’s glass windows are vintage goods like printed sarongs, television sets, electric fans and even stuffed toys – this is about as nostalgic as it gets. Change can be jarring, but these millennials are nothing if not resilient. Just like the fascinating array of vintage goods in PepperLand Vintage Store, it all boils down to one’s perception of treasure.